Discover the unique charm of Austria and Germany, alive with holiday cheer and adorned with bustling “Christkindlesmarkt” – festive Christmas markets – on this classical adventure! Begin your classical Christmas journey in Munich and discover why this is Germany’s most exciting city. Tonight, join your fellow travelers for a welcome dinner. Today you’ll be introduced to Munich and its history on a panoramic tour featuring the Marienplatz, the Glockenspiel* and Olympic Park. Then enjoy leisure time to independently explore Munich’s historic area and the Christmas market. 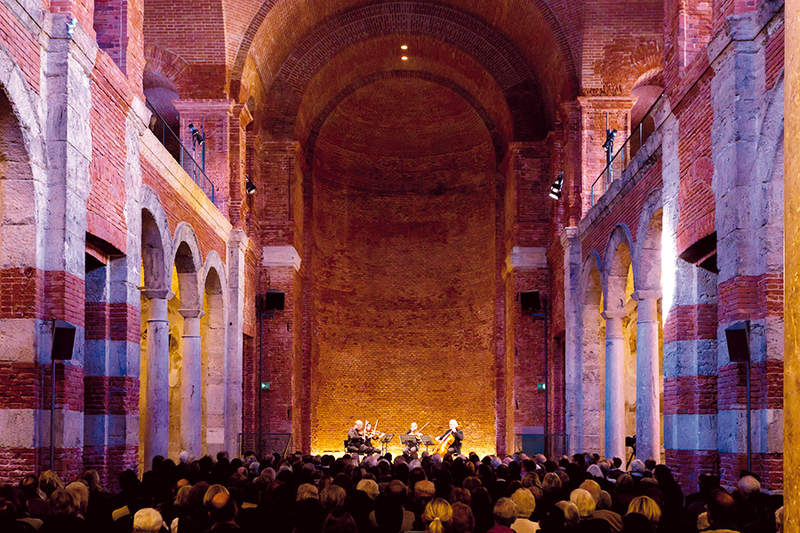 Tonight, get in the Christmas spirit with a festive concert at Allerheiligen Hofkirche. world’s great ski resorts, Seefeld is home to miles of walking trails, lakes, fine shopping, dining possibilities and pure fresh Alpine air. Warm yourself, meet the locals with a glass of schnapps, and enjoy a traditional carriage ride before shopping in some of the quaint village shops. Begin your day with a stop to view Neuschwanstein Castle, the fairy-tale retreat of Ludwig II of Bavaria. Continue on your journey to Oberammergau, a picture perfect Bavarian Alpine village. Step back in time as you stroll the streets past old-world cottages and shops covered in colorful frescos. Have some time to explore the village, perhaps shopping for the intricate woodcrafts the town is known for. Conclude your tour with a festive farewell dinner this evening. Your tour concludes today as you embark home with classical Christmas memories to reflect upon.